Read aloud to a furry, friendly therapy companion to help inspire a love of reading. 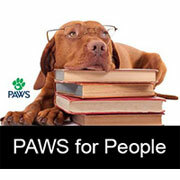 Offered by PAWS for People. Readers of all ages and stages are welcome.